Though the gory incidence of the building collapse at Ita Faji, Lagos Island, has come and gone, its fallouts have continued to resonate. In the aftermath of the sad event and in line with international best practices, the State government swiftly embarks on a systematic process of demolishing defective buildings across Lagos Island. This is basically as a precautionary measure to forestall future occurrence of such gruesome episode. Naturally, in the process, some people were displaced and there was an urgent need to resettle them. It is, therefore, out of the quest to relocate them that the Lagos State Emergency Management Agency, LASEMA, Resettlement Centre, Igando, in Alimosho Local Government Area, became a sure option. The camp has facilities to provide relief for affected victims, including those living with disabilities. It has five hostels with 22 rooms each, four double bunk beds and is capable of accommodating eight persons per room. The centre also has a kitchen facility, a dining hall, a general hall to be used for recreational activities, a three-ward medical facility, a set of 10 toilets and bathrooms for each hostel, sets of three bedroom flats for members of staff, facilities for persons living with disabilities, security post, power-generating set, among others. Presently, the camp has come to life with over 300 displaced persons, including children, teenagers and adults. At first, reports had it that a lot of them were quite apprehensive of moving to the camp because they were not too convinced of its suitability. But upon getting to the camp, the earlier callers had to send words to others about the comfort of the camp as well as other mouth watering welfare package on ground. At the camp, the displaced persons are fed three square meals daily. Also, they have recreational facilities that keep them busy and excited while a medical team is on ground to ascertain the health status of the people and equally offer relevant medical assistance as might be needed. The Igando General Hospital is handling referrals from the camp. Similarly, government provided three buses to convey children to and from their schools while their parents were equally ferried daily to their respective offices. This has really helped in terms of helping them to reduce emotional and physical stress. The whole essence is to ensure that the effect of loss on the victims is mitigated to the barest minimum. Meanwhile, the camp is to be opened for three months, after which government would review the need for an extension. In Lagos State, emergency management is a significant part of government’s overall strategy for achieving a smart city. The State Emergency Management Agency, LASEMA, was established vide LASEMA Law 16 of 2008 for emergency and disaster management in the State in pursuance to decree 12 of 1999 as amended by Act No. 50 of 1999 which established the National Emergency Management Agency (NEMA). The state has today invested heavily on emergency and disaster preparedness and response because its growing population is highly vulnerable to emergency situations like inferno, building collapse, road accident, floods, suicide and others. Today, due to continuous funding and proper management, the Agency has grown in leaps and bound. Unarguably, Lagos has been exceptional in term of investment and achievements in emergency responses and this claim are evidence-based. 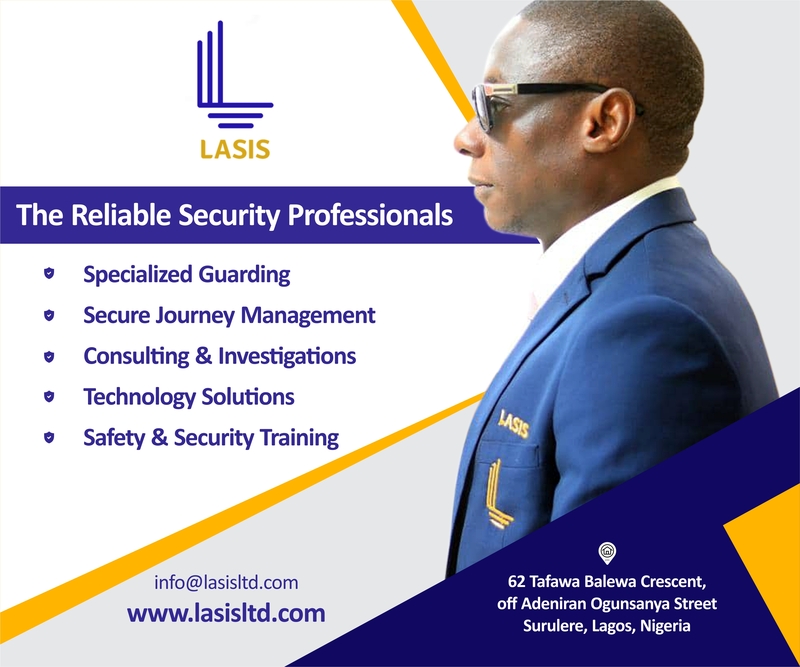 LASEMA is now optimally responding to the challenges of disaster management with improved emergency preparedness and responses. This explains why the state government has not just decentralized the operations of LASEMA, but each response unit has been equipped with a new ultra-modern equipment (trucks, power bikes, heavy-duty vehicles and fire trucks, Mobile Intensive Care Ambulances and Light Rescue Equipment, and 14 new BMW Power Bikes for on-spot reconnaissance assessments of emergency incidents and to boost the sea, air and land capacities of the State emergency responders. In furtherance to the need to provide proper extrication equipment for timely rescue of trapped victims in any form of life-threatening emergencies, LASEMA in February, 2018, procured Light Rescue Equipment, which included Hydraulic rescue equipment with Power Unit attached with Spreader, Rescue Ram, Cutters Combi Tools and Concrete Cutters distributed to all the dispatch centres. The agency has also extended its response to emergencies beyond Lagos. In most cases, accidents along the Lagos-Ibadan Expressway stretch into Lagos, thereby affecting residents who work in Lagos but live in border towns including Magboro, Arepo, Kara, Ibafo, Mowe among others. To further strengthen emergency management, about 70 ad hoc staff of the agency was recently absorbed into the State civil service. Equally, a special allowance is paid to staff of the agency in order to get the best out of them. It is, therefore, safe to assert that Lagos State is poised to take emergency management to new heights. It must, however, be stressed that the citizenry need to embrace safety culture and practice in its entire ramification. This way, the rate of man-made emergency occurrences would be extremely reduced. Can design thinking help solve our problems?